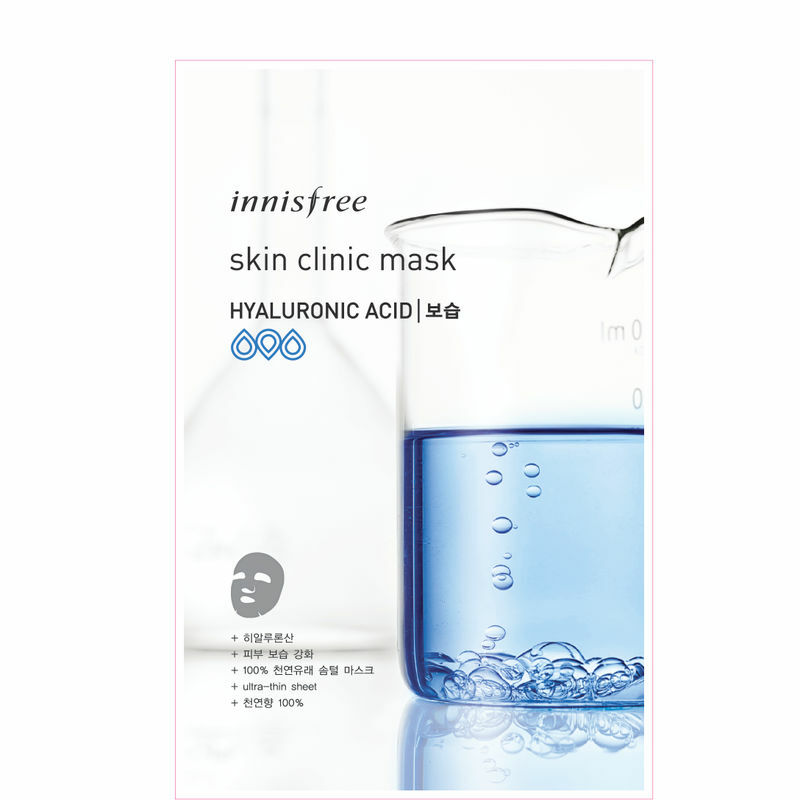 Dewy and hydrated skin is just a step away with the Innisfree's Skin Clinic Mask - Hyaluronic Acid . This fine delicate cotton mask contains hyaluronic acid to relieve skin dryness, leaving your skin feeling completely nourished. 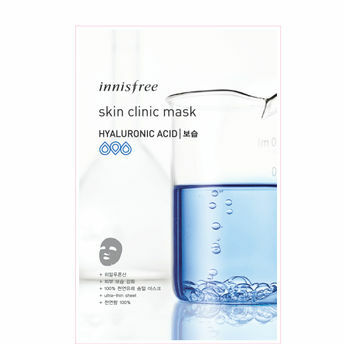 Includes hyaluronic acid to address skin dryness and leaves the skin moisturized and healthier.